2014. By Daniel Doan and Ruth Doan MacDougall. 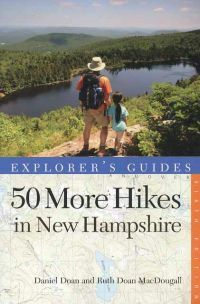 The updated and revised sixth edition of this timeless guide to some of New Hampshire's best hikes. This new full-color edition describes hikes from the state's Seacoast region north to the Canadian border. Softcover. 264 pp.